Symptoms may be minor, as evidenced by surveillance studies in high-risk areas. Gastrointestinal tract symptoms occur in less than half of patients and a skin rash is seen in less than 10% of patients. It is also characterized by a low number of platelets, a low number of white blood cells, and elevated serum transaminase levels in the majority of infected patients. Even though people of any age can get HGA, it is usually more severe in the aging or immune-compromised. Some severe complications may include respiratory failure, kidney failure, and secondary infections. Although the infectious agent is known to be from the Anaplasma genus, the term "human granulocytic ehrlichiosis" (HGE) is often used, reflecting the prior classification of the organism. E. phagocytophilum and E. equi were reclassified as Anaplasma phagocytophilum. Neuroborreliosis, is a disorder of the central nervous system. A neurological manifestation of Lyme disease, neuroborreliosis is caused by a systemic infection of spirochetes of the genus Borrelia. Symptoms of the disease include erythema migrans and flu-like symptoms. The International Lyme and Associated Diseases Society is a non-profit pressure group which advocates for greater acceptance of the controversial and unrecognized diagnosis "chronic Lyme disease". ILADS was formed by advocates for the recognition of "chronic lyme disease" including physicians, patients and laboratory personnel, and has published alternative treatment guidelines and diagnostic criteria due to the disagreement with mainstream consensus medical views on Lyme disease. Ixodes persulcatus, the taiga tick, is a species of hard-bodied tick distributed from Europe through central and northern Asia to the People’s Republic of China and Japan. 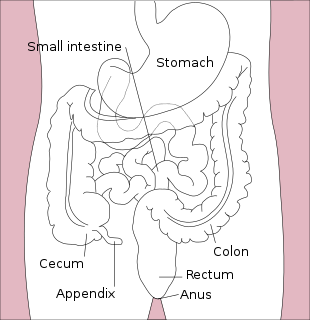 The sexual dimorphism of the species is marked, the male being much smaller than the female. Hosts include wild and domestic ungulates, man, dog, rabbit, and other small mammals including the dormouse, Amur hedgehog, and occasionally birds. ↑ Malik A, Jameel M, Ali S, Mir S (2005). "Human granulocytic anaplasmosis affecting the myocardium". J Gen Intern Med. 20 (10): C8–10. doi:10.1111/j.1525-1497.2005.00218.x. PMC 1490240 . PMID 16191146. ↑ Lee HC, Kioi M, Han J, Puri RK, Goodman JL (September 2008). "Anaplasma phagocytophilum-induced gene expression in both human neutrophils and HL-60 cells". Genomics. 92 (3): 144–51. doi:10.1016/j.ygeno.2008.05.005. PMID 18603403. ↑ Dumler JS, Madigan JE, Pusterla N, Bakken JS (July 2007). "Ehrlichioses in humans: epidemiology, clinical presentation, diagnosis, and treatment". Clinical Infectious Diseases. 45 (Suppl 1): S45–51. doi:10.1086/518146. PMID 17582569. 1 2 3 4 5 6 7 8 Bakken, Johan S.; Dumler, J. Stephen (2006-10-01). "Clinical Diagnosis and Treatment of Human Granulocytotropic Anaplasmosis". Annals of the New York Academy of Sciences. 1078 (1): 236–247. Bibcode:2006NYASA1078..236B. doi:10.1196/annals.1374.042. ISSN 1749-6632. PMID 17114714. ↑ "Diagnosis and Management of Tickborne Rickettsial Diseases: Rocky Mountain Spotted Fever, Ehrlichioses, and Anaplasmosis --- United States A Practical Guide for Physicians and Other Health-Care and Public Health Professionals". www.cdc.gov. Retrieved 2015-10-21. ↑ Massung RF, Courtney JW, Hiratzka SL, Pitzer VE, Smith G, Dryden RL (October 2005). "Anaplasma phagocytophilum in white-tailed deer". Emerging Infectious Diseases. 11 (10): 1604–6. doi:10.3201/eid1110.041329. PMC 3366735 . PMID 16318705. 1 2 "Human Granulocytic Anaplasmosis and Anaplasma phagocytophilum - Volume 11, Number 12—December 2005 - Emerging Infectious Disease journal - CDC". wwwnc.cdc.gov. Retrieved 2015-10-21. ↑ Dumler JS, Choi KS, Garcia-Garcia JC, et al. (December 2005). "Human granulocytic anaplasmosis and Anaplasma phagocytophilum". Emerging Infectious Diseases. 11 (12): 1828–34. doi:10.3201/eid1112.050898. PMC 3367650 . PMID 16485466. ↑ Goel, Ruchika; Westblade, Lars F.; Kessler, Debra A.; Sfeir, Maroun; Slavinski, Sally; Backenson, Bryon; et al. (August 2018). "Death from transfusion-transmitted anaplasmosis". Emerging Infectious Diseases . 24 (8): 1548–1550. doi:10.3201/eid2408.172048. PMC 6056119 . PMID 30016241 . Retrieved 27 June 2018. 1 2 3 4 5 6 7 de la Fuente, José; Kocan, Katherine M.; Blouin, Edmour F.; Zivkovic, Zorica; Naranjo, Victoria; Almazán, Consuelo; Esteves, Eliane; Jongejan, Frans; Daffre, Sirlei (2010-02-10). "Functional genomics and evolution of tick–Anaplasma interactions and vaccine development". Veterinary Parasitology. Ticks and Tick-borne Pathogens. 167 (2–4): 175–186. doi:10.1016/j.vetpar.2009.09.019. hdl:10261/144221. PMID 19819630. 1 2 Hamburg BJ, Storch GA, Micek ST, Kollef MH (March 2008). "The importance of early treatment with doxycycline in human ehrlichiosis". Medicine. 87 (2): 53–60. doi:10.1097/MD.0b013e318168da1d. PMID 18344803. ↑ Prince LK, Shah AA, Martinez LJ, Moran KA (August 2007). "Ehrlichiosis: making the diagnosis in the acute setting". Southern Medical Journal. 100 (8): 825–8. doi:10.1097/smj.0b013e31804aa1ad. PMID 17713310. ↑ Wormser, Gary P.; Dattwyler, Raymond J.; Shapiro, Eugene D.; Halperin, John J.; Steere, Allen C.; Klempner, Mark S.; Krause, Peter J.; Bakken, Johan S.; Strle, Franc (2006-11-01). "The Clinical Assessment, Treatment, and Prevention of Lyme Disease, Human Granulocytic Anaplasmosis, and Babesiosis: Clinical Practice Guidelines by the Infectious Diseases Society of America". Clinical Infectious Diseases. 43 (9): 1089–1134. doi:10.1086/508667. ISSN 1058-4838. PMID 17029130. ↑ Muffly T, McCormick TC, Cook C, Wall J (2008). 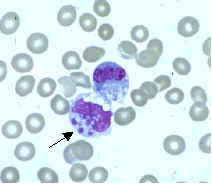 "Human granulocytic ehrlichiosis complicating early pregnancy". Infect Dis Obstet Gynecol. 2008: 1–3. doi:10.1155/2008/359172. PMC 2396214 . PMID 18509484. ↑ Krause PJ, Corrow CL, Bakken JS (September 2003). "Successful treatment of human granulocytic ehrlichiosis in children using rifampin". Pediatrics. 112 (3 Pt 1): e252–3. doi:10.1542/peds.112.3.e252. PMID 12949322. 1 2 3 4 "Statistics | Anaplasmosis | CDC". www.cdc.gov. Retrieved 2015-11-08.